Gaps and spaces between your walls and floor or ceiling can be a very disconcerting issue. If you notice gaps or spaces between the walls and floor or ceiling in your home, you should also watch for other signs of foundation failure, such as sloped or uneven floors, cracks, sticking doors or windows, and a wet basement. made by Earth Contact Products. The first of these underpinning methods is the installation of steel push piers. These piers are used to support the weight of the structure. They lift the foundation back to its original level. 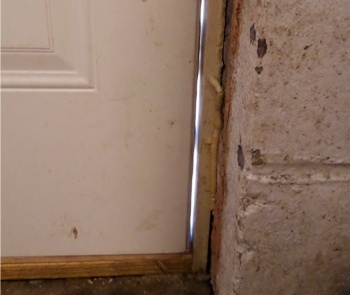 This helps to close any gaps that may have opened as a result of the foundation settlement or sagging joists. Once installed, steel piers will stabilize the foundation for years to come, preventing problems in the future. helical piers. These foundation piers work the same way as steel push piers, except they are screwed into the ground. This rotation provides extra support for the foundation. My Foundation Repairs can help put you in contact with a professional foundation repair contractor in your area. Contact us today for more information!